There is sadly no more denying it, winter is here. It’s cold, wet and grim. December is an extremely hard time of year to motivate ourselves to get moving. Let’s face it Christmas basically takes over the month and often exercise can come last on the list. In the workplace there can be a lot of after work drinks and tins of sweets floating around. Encourage exercise and healthy eating choices with your employees. It is so easy to take up a “Snuggle up” mentality, we eat more and we do less. This may feel good at the time but can also feed negativity. By moving more now, it will make you and your employees feel more energetic, keep our immune systems high to fight off any illnesses which will reduce absenteeism rates while rising your employee wellness. Being more active now will help us in the long run as our bodies will be healthier and happier. Vitamin D is so important for us and there are a limited number of foods we can get this from, although the easiest source is sunlight. During summer, fifteen minutes sunlight is enough, in winter sunshine can be harder to get. Sunshine make for strong bones, increases immune systems and prevent high blood pressure, cancers and diabetes. Instead of turning on the kettle for another cup of tea or turning on the heating while snuggling on the sofa get your runners on and get out walking. 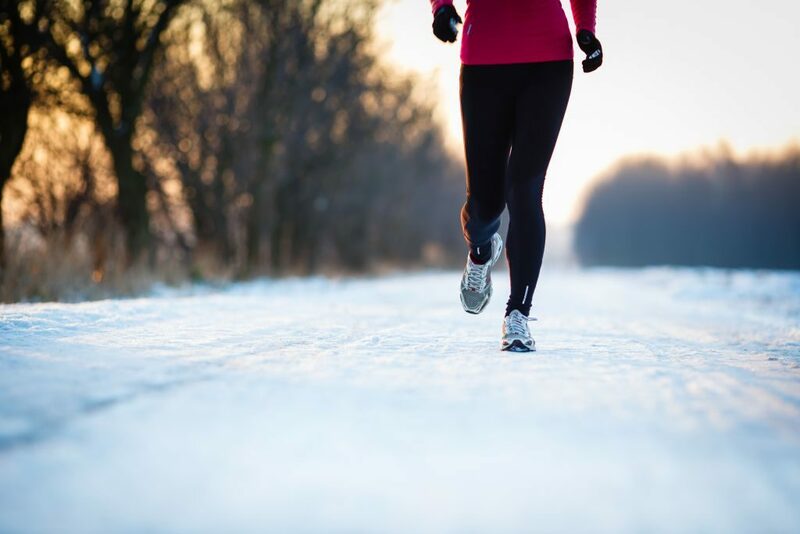 It may be cold initially, but once you start moving, your temperature will rise/ Your body will thank you in the long run. It is very easy during the winter to turn to comfort food and to hibernate. Nobody can blame us for wanting to do so on these cold nights. The only way we can make up for all the extra treats over Christmas is to increase the amount of exercise you do. Within the workplace this Christmas, instead of the usual sweets and chocolates add in some healthier alternatives. Another option is to set a workplace challenge. For example, set a company target of collectively reaching 10,000 steps over a period. The target depends on how many employees there are etc. The more you get your employees moving, the less they have to lose in the New Year. During the colder months we generally stay inside, breathing in the same air. By getting outside and getting some fresh air into your lungs, it will allow you to feel better instead of breathing in the same air all day. Walking meetings can be an excellent solution to this. Your employee’s wellness can increase by simply getting some air in during the day to help rejuvenate the individual. To encourage your employees to move more this winter does not necessarily mean that you have spend thousands on gym memberships. Little steps can make a huge difference. Try have walking meeting rather than in an office broad room, on these brisk winter days try a walk around your vicinity or a workplace challenge. By encouraging your employee’s there will be a rise in overall employee wellness. At a time of year when absenteeism can be such an issue, creating a corporate wellness strategy is key as not only will absenteeism be reduced but productivity will also rise.